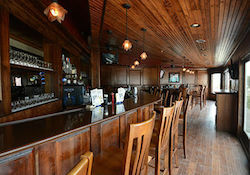 Kix McNutley's has three separate bars for guests, all specializing in different atmospheres. The main bar inside offers live entertainment weekly, while the SideKix Lounge features a refined and relaxed setting. In addition to these, Kix opens up its Patio in the spring and summer months.